HIT LOWEST LEVEL IN FOUR YEARS According to Irving Levin Associates, Inc.
NEW CANAAN, CT. – Jan. 21, 2000 – Mergers and acquisitions in the health-care services industry had another down slide in the fourth quarter of 1999, with 16 percent fewer deals than the previous quarter, according to Irving Levin Associates, a research and health care publishing firm. In its fourth-quarter 1999 Health Care Merger and Acquisition Report, Levin reports that there were 141 health care mergers and acquisitions announced during October to December 1999. “M&A activity in the health care services sector has reached its lowest level since the second quarter of 1995 when 139 deals were announced,” said Stephen M. Monroe, managing editor at Levin. Three sectors — hospitals, long-term care and managed care — accounted for 46 percent of the total mergers and acquisitions last quarter. The physician medical group sector, which previously led all sectors in number of deals, had a relatively low level of activity last quarter. “Of all the sectors in health care services, the physician medical group sector has declined the most from a year ago, reflecting the degree to which this sector has been discredited in the eyes of the investment community,” said Monroe. In the fourth quarter of 1999, the hospital sector led the activity, with 29 deals accounting for one-fifth of all mergers and acquisitions in the quarter. The long-term care sector had 20 deals, five of them priced at more than $50 million. These deals garnered a total of 82 skilled nursing, assisted living and independent living facilities, with a combined total of 9,625 beds or units. “The aging of the population ensures that operators will seek to acquire additional facilities to meet the increasing demographic demand,” said Sanford Steever, editor of the Report. The managed care sector (formerly HMO) is still witnessing a steady flow of deals, showing a growth rate of 8 percent over the previous year. “This may be due, in part, to rising levels of medical inflation, predicted to hit double digits in 2000,” said Steever. 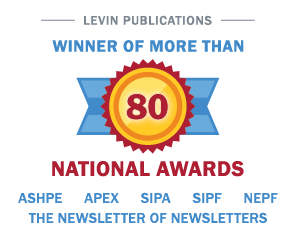 Irving Levin Associates Inc. is a New Canaan, Connecticut-based research and publishing firm specializing in health care investments. The firm has 50 years of experience in the health care acquisition market. To purchase The Health Care Merger & Acquisition Report, consisting of four quarterly reports, 12 monthly newsletters and 50 weekly bulletins, please call (800) 248-1668.